A recent study released in 2017 had some very interesting results. Inami et al looked at the brain and the neck (via PET scans) before and after a cervical (neck) adjustment. While, unfortunately it was a small sample size (21 males) the results do show there is definitely an influence on the brain in regards to outcomes after an adjustment. Look at what the effects of poor posture are on your body! 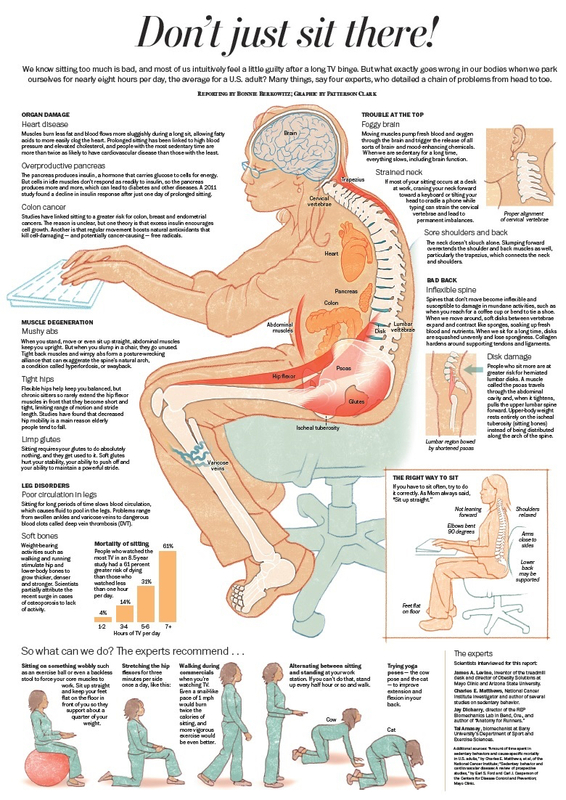 We see a lot of office workers complaining about their back discomfort, but look what what else happens when you sit (with poor posture) for long periods of time! Make sure you are getting out of your chair at least every 50 minutes!